Check out this very slick poster, cleverly built around the Edges of Science cover art that was brilliantly conceived by graphic arts genius Guy Edwards. 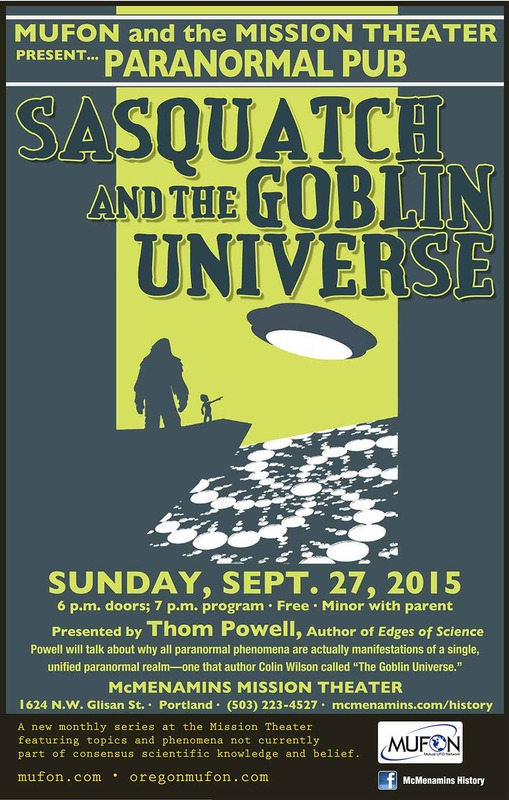 When MUFON/Oregon lined up a speaking gig for me at the Mission Theater in downtown Portland, I sent the artists at McMenamins a few images that they might use to build a poster. 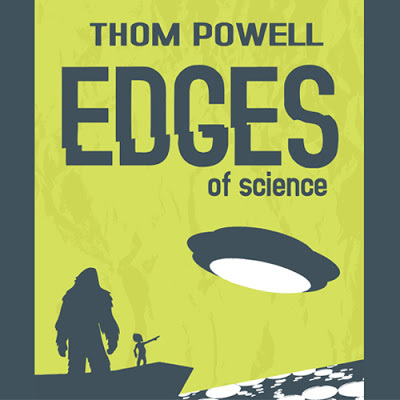 They astutely grabbed the cover art that Guy created for my latest book, then they added their own type, keeping the design and color scheme that Guy Edwards originally conceived. If imitation is the highest form of flattery, they they just paid Guy the ultimate compliment. Not to sound smarter than any other run-of-the-mill fool, because I, too, I had to be initially 'sold' on Guy's cover idea. I liked one of the other iterations Guy cranked out. Fortunately, I have one redeeming quality: I listened when Guy told me I was making a mistake. I resisted; Guy insisted. And of course, he was right. I gave in, and I never regretted it for a moment. 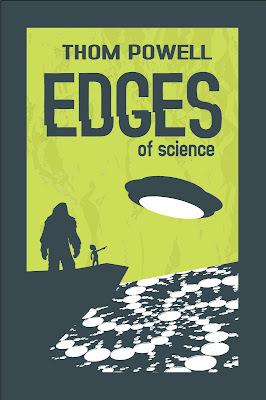 Everywhere I go, I get raves over the Edges of Science cover art as well as the humorously clever interior art done by another great artist, Alicia Bateman. I am indeed blessed to be surrounded by so many talented people, including a brilliant editor in San Diego named Molly Hart-Lebherz. Check out the poster above prepared by the talented McMenamin's artists who knew a good design to build from when they saw it and the original book cover art by Guy Edwards (below). If you want to see the details of Thom's appearance time, date and place, visit the MUFON/Oregon website by clicking here. And remember, if you ever need a piece of brilliantly conceived graphic art for that important project, who ya gonna call? Guy Edwards! The Edges cover design by Guy Edwards. This is a gorgeous place, and I won't soon forget it. Attended an event here sponsored by the company. The reception hour at Chicago event venues was held in one of the rooms next to the hall. I loved their buttery mashed sweet potato.